Dr. Garcia’s practice, located in Glens Falls, New York, offers a full menu of facial sculpting procedures to help you achieve your ideal look and increase your self confidence. Board certified by the American Board of Plastic Surgery, he has the surgical expertise to achieve natural-looking results. 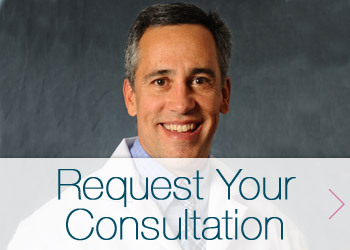 He cares about providing his patients with a satisfying surgical experience from start to finish. Facelift, neck lift, eyelid surgery, and brow lift all can help you look younger and more vibrant. Very often, a subtle resculpting around the eyes or along the jaw line can create a significant improvement in your overall appearance. Garcia Plastic & Hand Surgery now offers non-surgical treatment options for the double chin, including CoolSculpting and KYBELLA™. Dr. Garcia is a plastic surgeon who specializes in helping women and men feel more attractive, increase self esteem and improve confidence. Request a consultation today or call his office at (518) 793-0475. You’ve probably heard the expression, “put your best face forward.” Cosmetic surgery can help you achieve that best face, the one you’ve always wanted and the one that captures how you feel inside. You don’t have to look old. You don’t have to look tired. You don’t need to keep those facial lines. You don’t need to have uneven skin tone. Options are available to you right here in Glens Falls, just minutes from Saratoga Springs. Plastic surgery is a powerful tool that, along with getting adequate rest, exercise, reducing stress, and protecting your skin with sunscreen and prescription strength skin care, helps maintain an attractive facial appearance. Dr. Garcia can tell you more about any of the facial sculpting procedures he offers and give you advice on taking care of your face so you look great at any age. See what’s possible by requesting a consultation today or calling (518) 793-0475.